The following PowerPoint files are available to download! They are perfect for use in childbirth education classes and other educational settings. Check back frequently for new content. 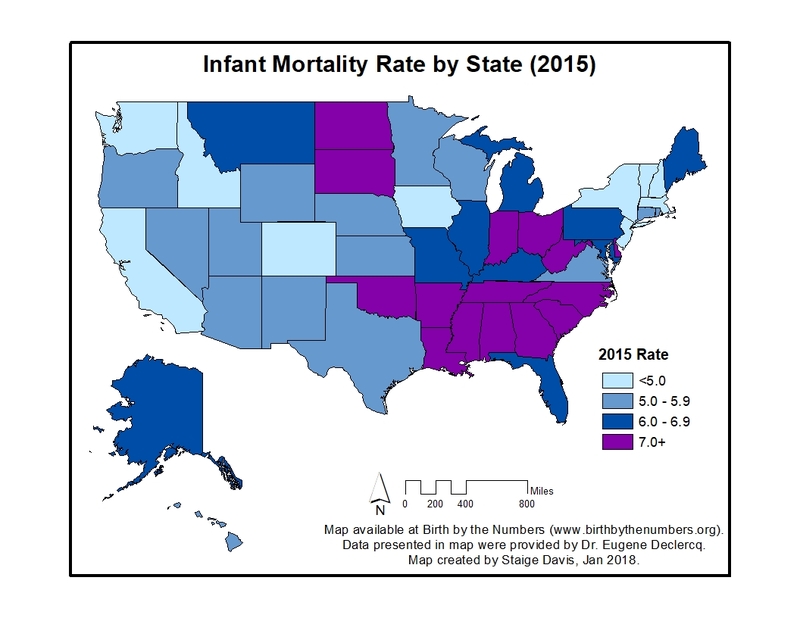 Download PowerPoint slides of Infant Mortality Rate by State, Infant Mortality Rate for Non-Hispanic Whites, and Percent Improvement in Infant Mortality Rate (2000-2015) here. 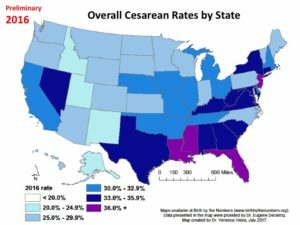 Once upon a time (1990) one third of the states in the U.S. delivered less than 20% of their babies via cesarean section and no state even reached a 30% cesarean rate. Much has changed since then, starting in 2001 when Louisiana became the first state to ever reach a 30% cesarean rate. With each following year the overall U.S. cesarean birth rate continued to increase, with states reaching highs that exceeded 36%. These slides depict the map of the U.S. with its corresponding cesarean birth rates over the years and provides a clear visual of cesarean rate trends between 1990 and 2016. The slides are freely available for use in classrooms, childbirth education classes, and other settings. Download the PowerPoint file here. Australia has experienced a significant increase in the cesarean birth rate over the previous two decades. 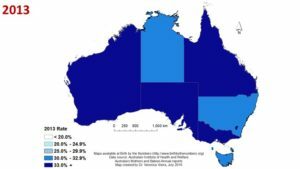 The following maps display the uptick over time in the six states and two territories down under. Australia is one of the wealthiest nations in the world, and fares well on some health indicators, including life expectancy. Curious when the map turned such a dark blue? The slides are freely available for use in classrooms, childbirth education classes, and other settings. Download the PowerPoint file here or the PDF version here. 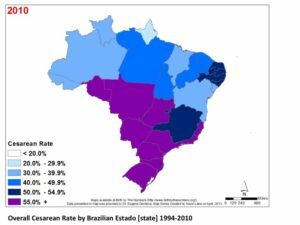 Brazil is the most populated South American country and also has one of the highest overall cesarean birth rates in the world. The following maps show the progression of the cesarean birth rate trend in Brazilian estados [states] from 1994-2010. Note that the rates in states begin high before declining through year 1999 to rise again, ending in nine states with rates over 55% in 2010. A useful piece of information, for the purposes of comparison, is the US cesarean rate, which leveled off in year 2010 and 2011 at 32.8%. The slides are freely available for use in classrooms, childbirth education classes, and other settings. Download the PowerPoint file here. 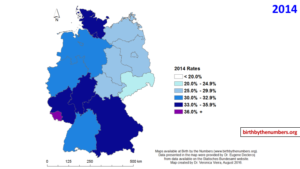 The following maps show the progression of the cesarean birth rate trend in German states from 1994-2014. Note that the rates in nearly all states begin lower than 20%. The rates then consistently increase through 2011 and then decrease in 2012. Since 2012, the rates again consistently increase through 2014, with one state ending in a rate higher than 36%. The slides are freely available for use in classrooms, childbirth education classes, and other settings. Download the PowerPoint file here or the PDF version here. Questions? Suggestions? Comments? Please contact us. Thank you for this. We will never have progress until we have measurement and transparency.